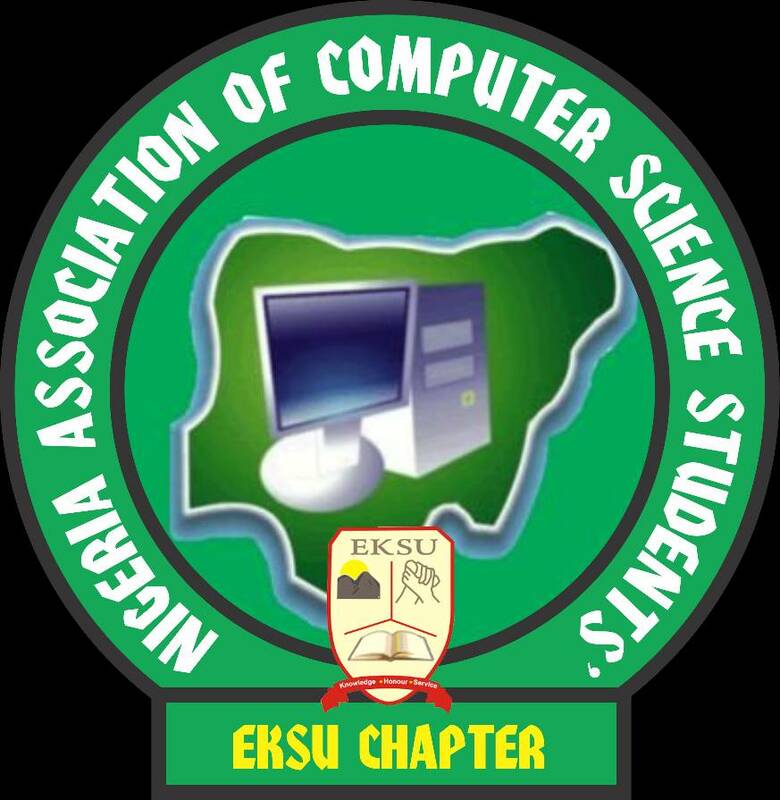 I mean you're a group of 300 level computer science students of Ekiti state university(click here to read on what student are saying about the ongoing strike at the school); right? And the youngest amongst you must be above 20 years of age by now. So you've definitely heard a whole lot of things since your birth and the probability that you've heard anything I'm saying tonight is 50%. But there's also one other thing I'm very sure of. Just as I'm sure that you've probably heard what I'm going to say tonight, I'm also very sure that even though you've heard these words, you've never taken time to live them. You've heard, and even said, but you've never acted. And that right there is exactly why you're presently where you are. So tonight I'll implore you, even if you won't do anything else, make sure that you make the decision to take practical steps towards anything that's said. And I assure you that you'll start to see results. Let's start by reviewing the definition of excellence. Can someone tell me what they understand by excellence? He said "Excellence for me is standing out"
From the dictionary above, we can see the underlined word High Degree.Before something can be termed as excellent it must have been rendered in high degree.Compared to its pairs. You all probably have brilliant definitions of excellence in your vocabulary and so I won't stress pointlessly. Now, there's this equation that I came up with earlier today as I was preparing for this seminar. I'll call it: an equation showing the relationship between excellence and effort. Excellence is directly proportional to investment (excellence = investment). Have you heard of ROI? If you're the business savvy or a general lover of knowledge you'll probably know what ROI is. It means Return on Investment. That is what did the profit that you'll get after investing a particular amount of resources. A good business person would always compare their ROI to the investment just to ensure that they are not making loss instead of profit.Well, we are not talking about business here, although the principles we'll talk about can well be applied to business. In short they can be applied in all areas of life. The point here is that your level of excellence is dependent on your level of investment. And what do I mean by investment? Am I talking about financial investment?Not exactly. There are several kinds of investment that do not have anything to do with finance. Some investments are even way better than monetary investment because in the long run they'll eventually yield even more money than you can imagine. Talk about investment of effort and investment of time. When these investments are rightly done then you're very sure to achieve excellence. After this seminar, I want to invite youngsters to google TARA LINPINSKI. Tara Lipinski is the youngest person ever to win the Figure Skating World title, at the age of 14, and also the youngest person ever to win the Olympic gold medal in the individual ladies’ singles event, at the age of 15. This is a brilliant example of excellence! In an article published some months ago in Witsprouts Magazine, I wrote "for 1982 born Tara Lipinski, being the youngest World Skating Champion at 14 meant being a skater as early as age 3!" She didn't just reach that height. She started roller skating at the age of 3 and at the age of 6 she started ice skating and has since then been engaged in untiring, rigorous training with pro coaches. While other children are all around running after toys cars, Tara was developing herself for the Gold. This is what I meant by investment. Putting all you have into what you want to achieve. Once you can do this constantly, you're not far from reaching excellence. 1. things to avoid on your road to excellence. 2. ‎steps to arousing the excellence in you. We all know what honey moon is now. That period of rest that couples go through after all the stress of wedding. Don’t let your brain go on recession, avoid over relaxing the brain. Always be on knowledge adventures. Your brain is capable, utilize it as much as possible. Always find means of utilizing your brain. Don't just use your brain to process Mark Angel comedy and Twyse skits. I'm telling you I love what Twyse is doing but then, you'll see that he's really using his brain to create those skits. But you're not using your brain watching them. I won't say you should stop watching but then you should watch with sense. Know when to stop. 2. Avoid the Dogma of Infallibility. Some people's confidence is out of this world. You'll see them walking into the pit but they are still confidentially telling you to shut up and stop correcting them. They are right. You should take care not to fall on the side of hyper-confidence. The fact is, like every other humans, you are not perfect–although you might be very good. You can make mistakes. You are not infallible. And so you should always lookout for your vulnerabilities and try as much as possible to improve on them. 3.Avoid the Danger of Under Estimation of Self. If there’s are few things you should always remember, the fact that you are not too young to be whatever you want to become should be one of them. You are not inferior, you are not under-privileged. And in everything you do, you should be self-confident–be able to stand for your choices and defend your decisions. Simply put, EXPLORE. Don’t limit your knowledge to a particular field. Explore. Try as much as possible to have as much knowledge of different fields as possible. Secondly, I'll love to share with you four steps to arousing the excellence in you. You have to sit down first and study yourself. Who are you and what are you good at? Think deeply and reflect on your life so far. What traits have you discovered? 2. Engage in to Continuous Capacity Building. 3. Set a Clear Vision. Now that you’ve horned your skill in the perfect vocation for you, you’ll want to put up tasks to solve with those skills. Call it a goal, or a vision, or a mandate. You can also say it’s your calling. Non matter what you call it, all that matters is that you set out to it and, as much as possible, remain blind to all distractions until you’ve achieved that vision. While on the journey to achieving your goals and reaching your vision, one more thing that will boost you is your character. While capacity building is about equipping yourself with skills and knowledge to enable you to do what you want to do, character development is about developing yourself in everything from adopting the right mindsets to managing human relations. In short, it’s developing your personality. 1. Divorce Passivity and get Married to Activity. We are all prone to accepting life just as it comes. Whatever life throws at us is welcome. We get complacent. We embrace mediocrity. But this should not be so. You should stop being passive to life and take active participation in the course of living. Arise and shine. You must have heard about Robert Greene. The man who wrote the popular book 48 Laws of Power. So I'm currently reading another one of his powerful books title Mastery. In it he told stories of great leaders from ages past to the present moment, from Jesus to even Donald Trump. They were able to be the master they are in their craft because at a point in their life, they decided to sit down as students to life and master their arts. Same principle is applicable to you. To achieve excellence you must be willing to sit and learn deeply about what you want to be excellent at. 3. ‎Adapt to the Changing World – Match your Aspirations with Opportunity. It's no longer news to you that our world is changing at the speed of light. The things that we use to adore about 5 years ago, we no longer adore now. There are new things now. And it's also sure that the things we're currently adoring now would go extinct in the coming years. The fact is that technology is taking over and this new reality is creating new opportunities. To achieve excellence in this new age, you have to learn to match your aspirations with the emerging opportunities that the new world presents. 4. Explore your passions and build excellence on them. Earlier, I stated that you should discover yourself. This is another area where you need that exercise. Judging by what you've discovered about yourself, draw out a passion and start working on it. Tomide a 300lv student ask this Questions : sir if I discover something about myself and am developing it & building myself towards excellence. If nothing is coming from the end even though I have been doing it for about 3 years, what do u suggest? Mr tayo said:First ask yourself, "Did I actually have a strategy for making money from what I've been doing?" It's one thing to be doing something out of passion, it's another thing to know how to make money from your passion with marketing and promotion etc. As long as you don't make it a goal to make money, you won't make money. The money won't just come. A friend who read the seminar message told me to ask this for him? Mr tayo:What do you mean by you're not a pro? Are there any chords that you can't play, or are you having problems with getting the keys right? I want you to know that it's very okay for you to give up on guitar in such cases as this if your interest is now with something else. By the way, the little knowledge of guitar might eventually come in handy in sax and trumpet. So, I'll suggest you focus on your sax and trumpet for now and invest yourself in it. Learn to be a pro in it.